I've shared my love affair with Zappos with you before, and I'm back partnering up with them today to say it again. I, Katie Krysh, literally order everything from them. I mean it...the greatest finds and customer service out there! You would be surprised how many cute things Zappos has that are either sold out on other websites (like these jeans), or not available yet. Their spring fashion is on point and naturally, they arrive much quicker to my doorstep and no shipping charges. A lot of you might own a pair (or have seen) the popular Navajo Jack Rogers sandals, but these (in my opinion) are so much better and I know I will wear them more. It took me a while to break in the Navajo's (honestly they hurt my heels for the first month), but this style fits so much better and they are comfortable from the start. The Georgica's remind me of these Tory Burch sandals, but are less expensive and don't have the leather bottoms. The cork/gold combo also sold me. Done and done. Obviously it's still a little too chilly here to wear them right now, but I'm counting down the days and I'm sure you will see many outfits worn with them on my instagram! Zappos-you've done it again. Happy customer right here. Anyone else love ordering from them as much as I do?! Hope everyone has a fabulous weekend, I can't wait to celebrate Billy's birthday all over again! More on that next week. xo! I was looking into buying a pair of Jack Rodgers shoes for a wedding (on the beach), and when I saw the one your found, I fell in LOVE. I am checking out zappos.com now! I am a HUGE fan of Zappos and have consistently been wowed by their customer service (seriously, above and beyond). They really go the extra mile. When my sister got married, she just had all of us bridesmaids wear a dress in the coral color family, so I ordered multiple dresses and sizes from Zappos and loved being able to try them all on in the comfort of my own home, then easily (and for free) ship back the ones that didn't work. So much better than tackling the mall! Same here - love me some Zappos!!!! Their customer service can't be beat - and they always have a great selection, to boot! I could sing Zappos’ praises all day long. They’re amazing and their customer service is always on point! 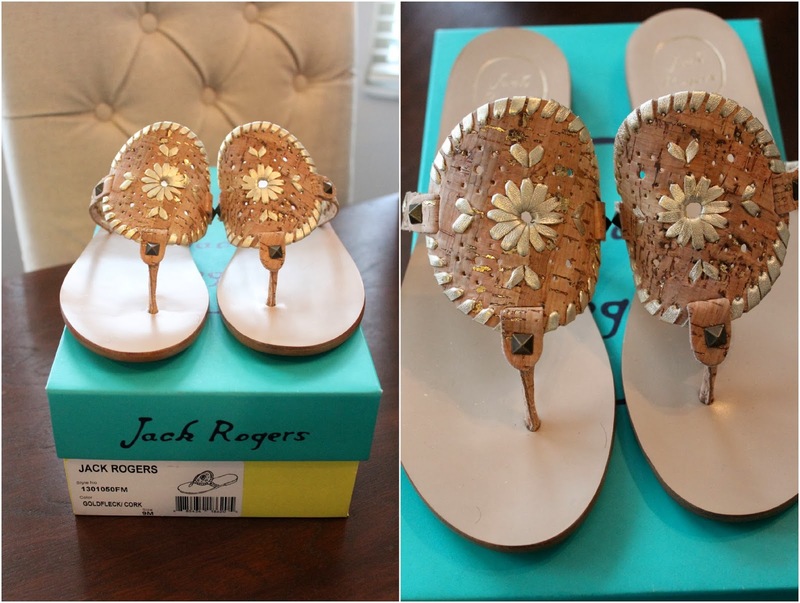 LOVE those Jack Rogers!! LOVE Zappos!! I'm a VIP ;) And You can never go wrong with Jack Rogers. I LOVE that pair! I used Zappos like CRAZY for our wedding. I ordered so many different pairs of shoes until I found the perfect heels for our wedding day! Agreed, awesome customer service and you really can't beat their fast (and free!) shipping. Obsessed with those Jacks. I have my eye on them and can't wait to make the slurge after lent.